La Roche Posay Mela D Reviews: Is It Really Good For Your Skin? What is La Roche-Posay Mela D ? Founded in 1995, La Roche-Posay is a division of one of the industry’s giants, L’Oreal Group, dedicated to creating lean but mean formulas designed for safe use on sensitive and problematic skin types. La Roche-Posay Mela D Pigment Control, US $52.99 for 30 ml, promises to lighten your dark spots and brighten your overall complexion. La Roche-Posay Mela D: Does it really work? What are the ingredients in La Roche-Posay Mela D? Glycolic Acid: This plant-derived acid is a proven exfoliator that removes dead skin cells while encouraging the production of new, healthy cells. It also helps unclog pores and by stimulating cellular turnover, it is an effective formula for improving the skin’s texture and appearance. However, it may cause burning sensation to sensitive skin. Kojic Acid: Derived from natural sources, it has melanin-inhibiting properties that stops melanin formation to allow skin to lighten while simultaneously brightening up your overall complexion as well. Use La Roche-Posay Mela D Pigment Control once daily, either with your morning or evening routines. Since this product can be sensitizing, you may have to gradually build the product into your daily routine to allow your skin to adjust to the formulation. This product has a sheer, lightweight texture that easily absorbs into your skin but overuse does leave a greasy surface blocking skin pores. This product is paraben-free, fragrance-free and non-comedogenic. 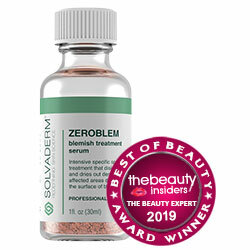 Formula has been tested by dermatologists to be safe for use even on sensitive skin. This product is formulated with denatured alcohol, one of the most irritating and permanently damaging ingredients that you can ever allow to get into contact with your skin. Among La Roche Posay Mela D reviews is a review by a critic which pointed out that the solution may have pH level that is too high which renders the glycolic acid useless for sloughing off skin. 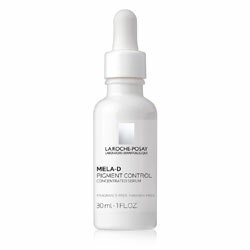 La Roche-Posay Mela D Pigment Control may still be able to lighten up your skin. As to whether or not it can do so effectively and safely, however, seems to be in question. It is possible that you can tentatively derive the benefits but, at the expense of your overall health. Since you won’t prefer that deal, you should keep looking.